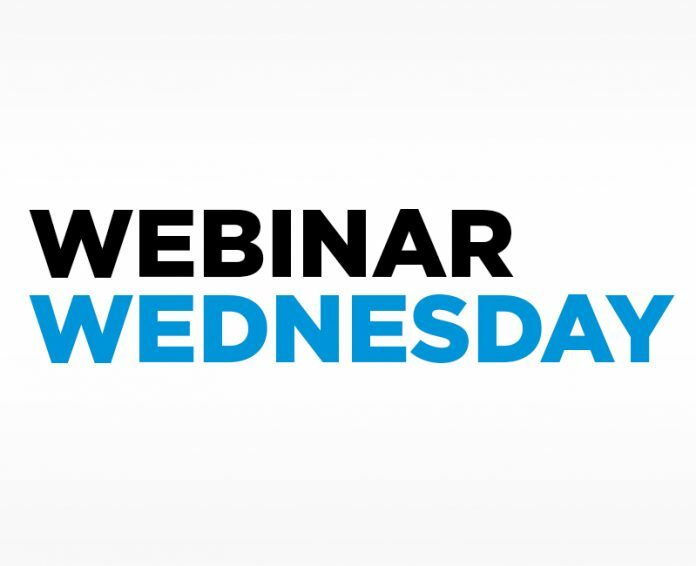 The Webinar Wednesday series continues to receive rave reviews and reach new highs as more and more people in the HTM community login for the presentations. “An excellent balance of well-organized and delivered prepared comments covering [a] range of issues in maintaining nuclear medicine system with a panel of in-house experts at Universal Medical that offered excellent responses to questions,” attendee Rob D. wrote in his post-webinar survey. “Nuclear Medicine Service: A Guide for Selecting the Right Service for Your Facility” also offered attendees the opportunity to earn 1 CE credit from the ACI. Craig Snodgrass, National Service Manager at Universal Medical, did an outstanding job providing information to attendees. He discussed choosing an independent service provider, selecting the ideal type of service contract, best practices one should be performing, and using fully reconditioned parts versus “as is” used parts. The webinar concluded with a Q&A session. Another recent webinar, “Innovations in Ultrasound System Diagnostics,” dealt with the diagnostic imaging portion of HTM. The webinar, which was sponsored by Summit Imaging, was eligible for 1 CE credit from the ACI. “The Webinar Wednesday series provides a valuable service to the in-house service personnel by making quality information available at no cost and not having to travel to a training session off-site.” Stan R.
Summit Imaging Manager of Global Education and Training Kyle Grozelle discussed new and emerging tools and skills to troubleshoot and diagnose equipment in-house effectively. He explained how this approach to servicing and maintaining ultrasound equipment allows for a lower cost and reduced downtime. He showed how to use tools available in any biomed shop along with the knowledge of technicians to examine common symptoms and errors. Grozelle also discussed the installation of common parts that sometimes require additional steps and configuration to restore a system to working order. He set aside time to answer questions posted by webinar attendees. At the conclusion of the presentation, attendees had gained knowledge and skills that enable them to diagnose a wide variety of ultrasound equipment as well as the resources to repair a system to full functionality. “Great webinar on further in-house and third-party ultrasound service, that is not dependent on the OEM,” Robert M. wrote. “This was a great webinar for me as a biomed who is very new to the ultrasound field. I am also happy to hear that Summit Imaging has such great support for us biomeds. Nice to find another company to call when we have equipment down. I am passing on their info to all my other co-workers,” Stephanie S. said. The Bayer MVS sponsored webinar “Mitigating Catastrophic TEE Transducer Failures Through Process Analysis” was a hit with 716 attendees. Bayer Multi Vendor Service Technical and Clinical Specialist Ted Lucidi, CBET, shared proven methods of reducing catastrophic TEE transducer failures. Rather than merely presenting attendees with common modes of failure, he provided root cause analysis from a clinical point of view. The outcome was that webinar attendees are now able to audit clinical environments, perform gap analysis and recommend process improvements that will ultimately impact the severity of, frequency of and cost of supporting these sensitive devices. The program Lucidi shared has been proven to reduce catastrophic failures and, until the webinar, has been exclusively available to customers of Bayer Multi Vendor Service. Attendees shared their thoughts about the webinar via a survey. “The webinar was very informative on provided cost-saving techniques regarding the TEE probes,” Kim B. wrote in her survey. “This is the fourth webinar I have attended. All have been interesting. Some of the subjects, including this one today, do not pertain to equipment I am responsible for; but I always gain some valuable knowledge,” Richard W. said. “This webinar was the best one I have attended so far. It was not just a sales pitch and the information that I learned will surely help me in my future endeavors,” Charles K. wrote. The overall TechNation Webinar Wednesday Series continues to receive compliments after each session. “These Webinar Wednesdays are not only a great way to obtain CBET recertification credits but are no doubt a great educational development tool, especially for smaller organizations that might not get as much training/cross education from other employees or surrounding areas. This helps limit the cost to maintain your accreditation as well,” Brian J. wrote. “We don’t get much new technology training as biomeds. Webinar Wednesday has been a great tool for me to get my technicians a little more information than they had the day before,” Paul N. shared. “The Webinar Wednesday series is the awesomesauce on my pancakes,” Jewel N. exclaimed. “Just when you think you’ve got your bases covered, TechNation webinars add knowledge to your technical database,” wrote Justin R.
“The Webinar Wednesday series provides a valuable service to the in-house service personnel by making quality information available at no cost and not having to travel to a training session off-site,” Stan R. shared. “If Siskel & Ebert were still alive, they would both give Webinar Wednesdays two thumbs up,” Michael N. wrote. “TechNation has become my number one source for on-the-job education,” Tim B. said. “I find the Webinar Wednesday to be full of vital information. The variety of topics that they cover should keep everyone looking at what is being offered next,” Joe D. wrote. For details about the Webinar Wednesday series, including a schedule of upcoming presentations and recordings of previous sessions, visit 1TechNation.com/webinars.